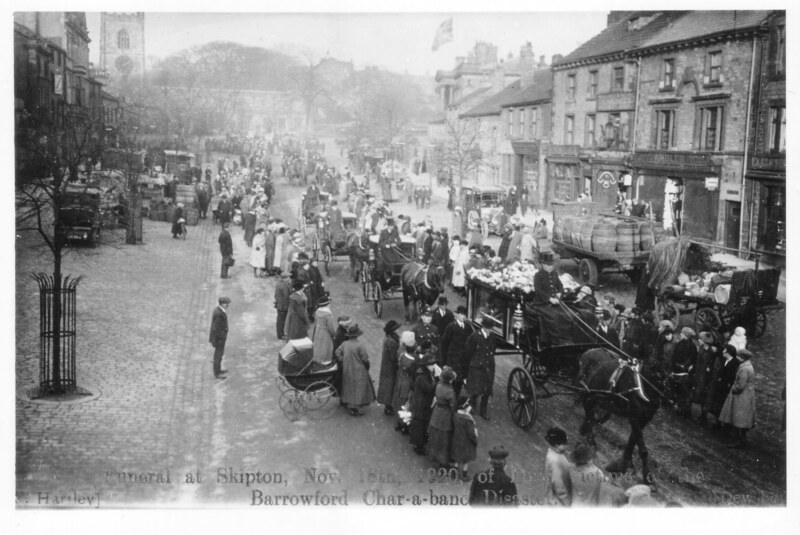 One of the young men who died was my great uncle, Harry Jones, son of John and Emma Jones who lived at 8 Goschen Steet Skipton. The accident took place on 13 November 1920 on the way to a football match, when the charabanc careered off the road. Harry Jones survived the Somme and a gas attack, but his brother Charles Hugh Jones died in 1916 on the Somme.